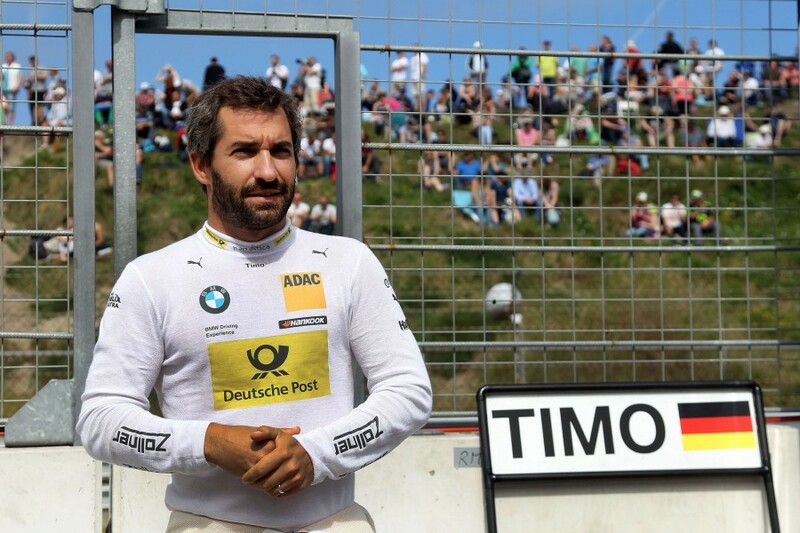 Former Formula 1 driver and current BMW DTM star Timo Glock has revealed his desire to compete in the Supercheap Auto Bathurst 1000. The 35-year-old German will next weekend suit up for his second consecutive run in the Bathurst 12 Hour, sharing a BMW M6 with Austrian Philipp Eng and four-time Great Race winner Steven Richards. Last year, Glock had his first taste of Mount Panorama in the GT classic alongside Bathurst legends Mark Skaife, Russell Ingall and Tony Longhurst. Speaking in a BMW teleconference ahead of his trip to Australia, Glock declared his interest in the Supercars event and the possibility of a wildcard in future, should his schedule permit. Glock discussed the concept at last year’s 12 Hour with Skaife, who organised Triple Eight’s 2013 Bathurst wildcard for Brit Andy Priaulx and Swede Mattias Ekstrom. “I'm a big fan of the V8s. I watch a lot of the races,” Glock said when asked by Supercars.com about his interest in the category. “It would be a race that's on my list to do, it would be a dream to do a Supercars test at some time. “But it's tough to get it done because of my schedule, doing DTM races and then doing the commentary stuff for (German station) RTL in F1. It's quite busy at that time of the year. “If there is a chance... I had a long chat with Mark Skaife about it last year, and we were talking about getting sponsorship done and maybe doing a car with Marco Wittman to do a car like they did for Andy Priaulx and Mattias Ekstrom a few years ago. Glock’s F1 career included a combined 91 Formula 1 starts for Jordan, Toyota, Virgin and Marussia between 2004 and 2012. He has spent the last five years with BMW in the DTM, finishing seventh in points last season, and is again preparing for a full campaign in the German championship. The future of the DTM is currently being debated, with integral player Mercedes having announced it will exit at the conclusion of the season. 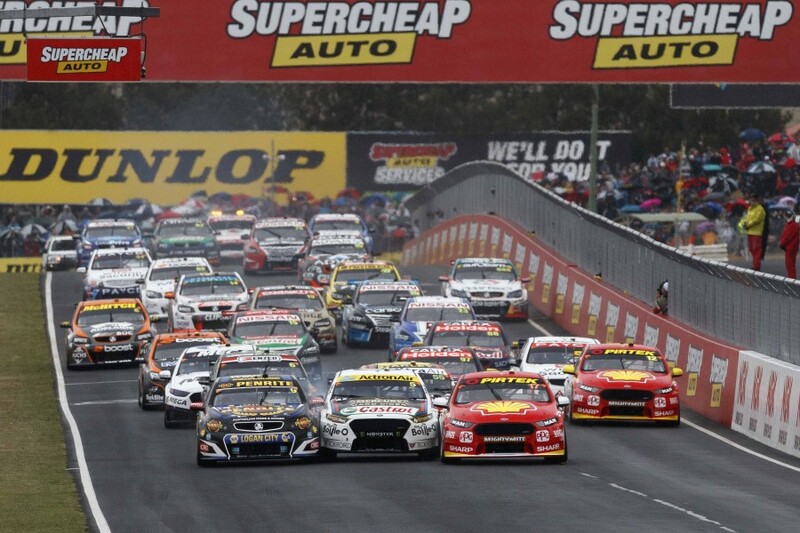 “Since I'm in the DTM, I've been saying that we need to see what the V8 Supercars in Australia are doing. They do it right,” he said. “You guys have cars that have a proper cars, they have, compared to DTM, zero aerodynamic downforce. “You can follow each other, you can overtake, you can drive side-by-side, and that's what we can't do. Entertaining the fans, that's what we need. “That's why I say we need to go more and more in this direction with the car, and automatically the show will be better, automatically the fans will join, because it will be a show and proper racing.